Copper is one of the few metals that occurs naturally in ‘native’ form, not bonded to other chemical elements. It is opaque and bright metallic salmon pink when fresh, but soon turns dull brown. 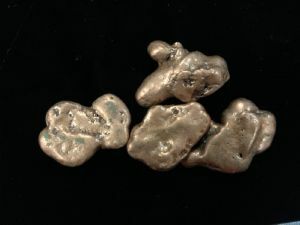 Most cooper is found as irregular, flattened, branching, or dendritic masses. Native copper forms in the oxidised zone of copper deposit, and is found in basic and ultrabasic igneous rocks. 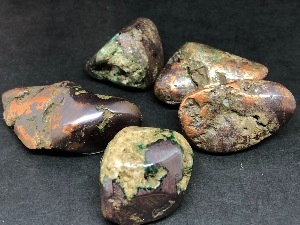 Cuprite and Copper - Tumbled Stone.